For years I was firmly an eastside Paris gal. 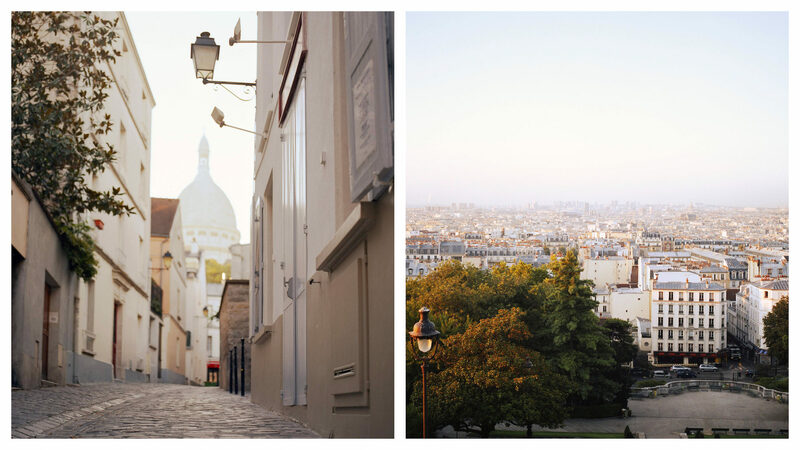 My first Paris apartment was located in the 12th arrondissement, not far from the 11th. I loved being able to do my food shopping at the buzzing Marché d’Aligre and I would spend my Sunday afternoons strolling along the Coulée Verte, a gorgeous promenade atop a former train line. 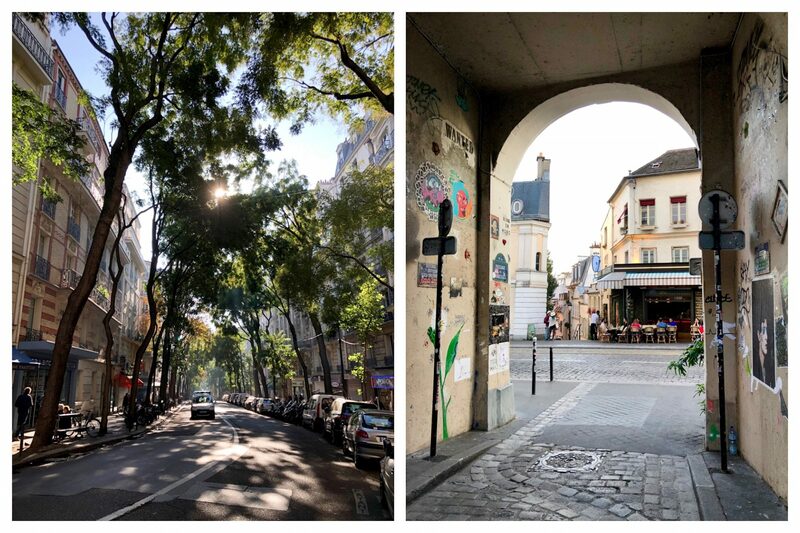 My place became le quartier general, the go-to hangout, for my tight-knit group of friends who were, just like me, recent arrivals in our early 20s, eager to absorb all Paris had to offer. When my landlady told me she needed the apartment for a cousin, I had to scrambled to find a new home, preferably in the vicinity. 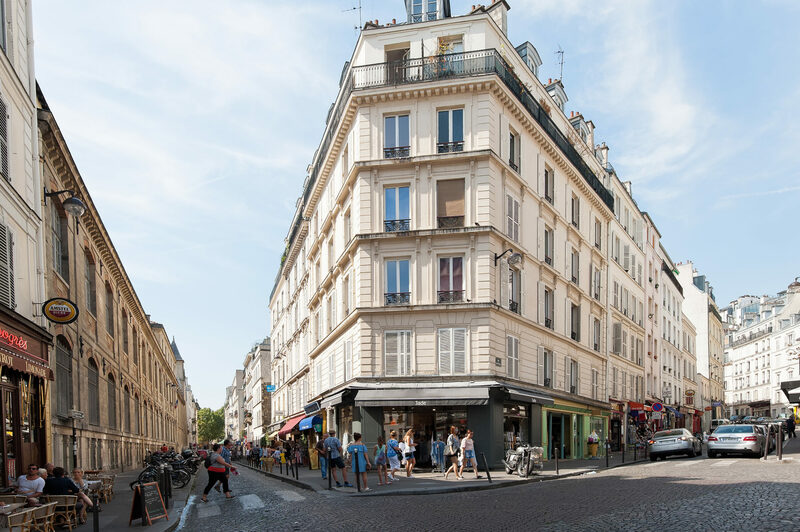 After countless apartment visits and rejected dossiers, a friend gave me a tip on an even better located apartment found a mere few minutes walk from Place de la Bastille, splendid Place des Vosges, and the nightlife hub of rue de Lappe. I loved being able to walk everywhere, however, this new apartment came at a steep price. This financial issue was worsened by the fact that I was in between jobs, making every centime count even more. One job opportunity fell through and I was barely scraping by on my part-time work as a minion in a posh Haut Marais art gallery. I started selling off my books for cash and was reduced to eating discount-brand pasta with olive oil for dinner. “Are you sure you don’t want to come back home?” my mother gently asked. She didn’t even know the full extent of how bad things had plummeted in only three months—but my banker did! I was descending deeper and deeper into credit card debt. Mais non! Impossible! I couldn’t and wouldn’t give up on my Paris dream. That said, something had to give. Luckily, I landed a more steady job; nevertheless, I’d need to wait another month to get paid, and then several more months to have enough payslips to please any potential landlord. Montmartre? Ugh. 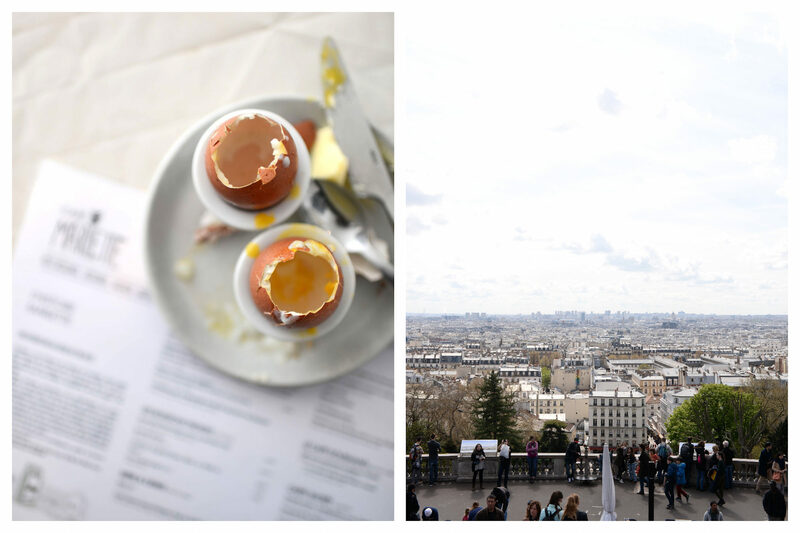 For me, Montmartre might as well have been on another planet, and one reserved for tourists. Since moving to Paris I’d ventured up there a few times, and while there were nice views to be had from in front of Sacré-Coeur, it didn’t feel like a real neighborhood. Plus, I loved walking. Montmartre seemed so far from everything, I’d have to resort to taking the metro everywhere. Would my friends still come up to see me? At this point, I couldn’t be very picky, so I called Dave and we made an appointment to see his landlady. Climbing up la butte to meet Dave, we were welcomed by a spirited elderly woman. After a few hours of lively discourse, I seemed to have passed the courtesy-call test, and was subsequently granted another appointment to visit the apartments she had in my budget. 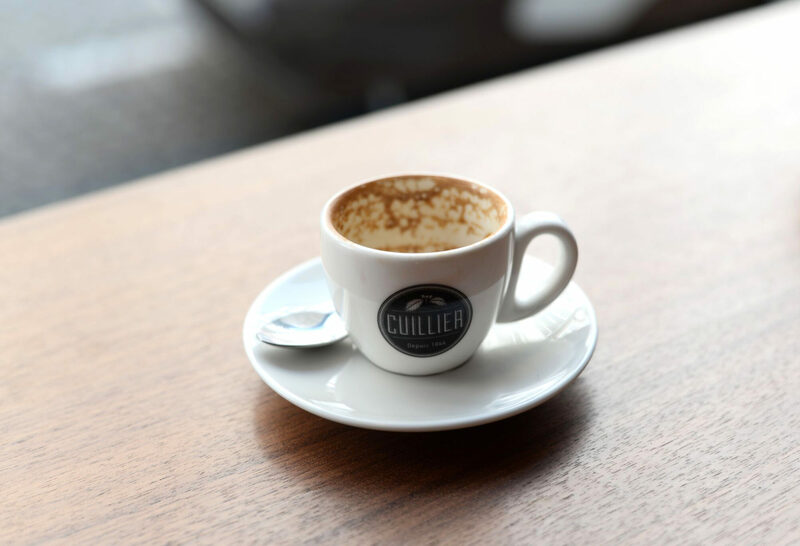 Two were a good size and located behind Montmartre, near the city hall of the district, the third was smaller and nestled right in the heart of Montmartre. 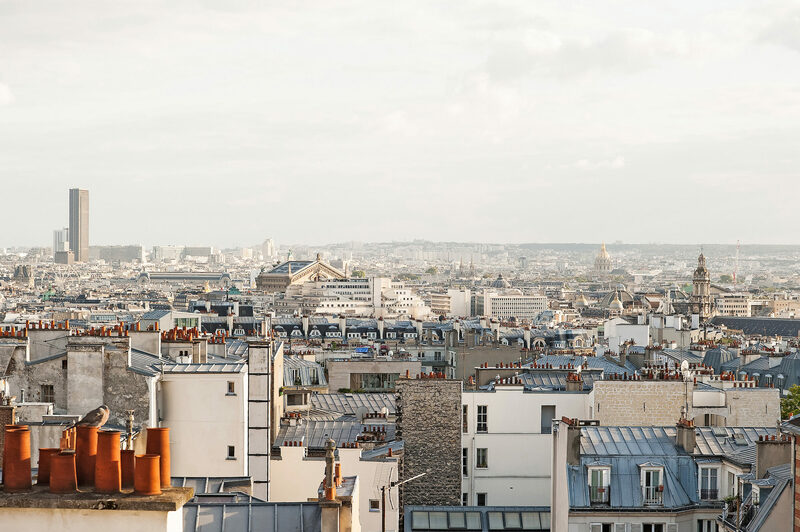 Despite being a six-floor walk up and having a rotting floor covered in well-trodden military green carpet from the 1970s, I had to take this small studio apartment for one simple reason: its sweeping view of Paris, from Sacré-Coeur to Les Invalides. 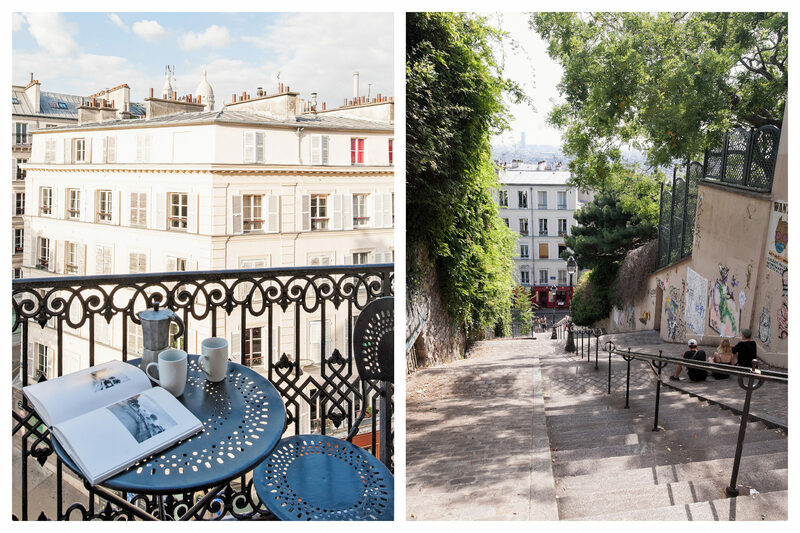 If I was going to make Montmartre my new home, I was going to do it right. Waking up to this exceptional vista everyday was the first step in starting to like Montmartre, but it wasn’t the only one. 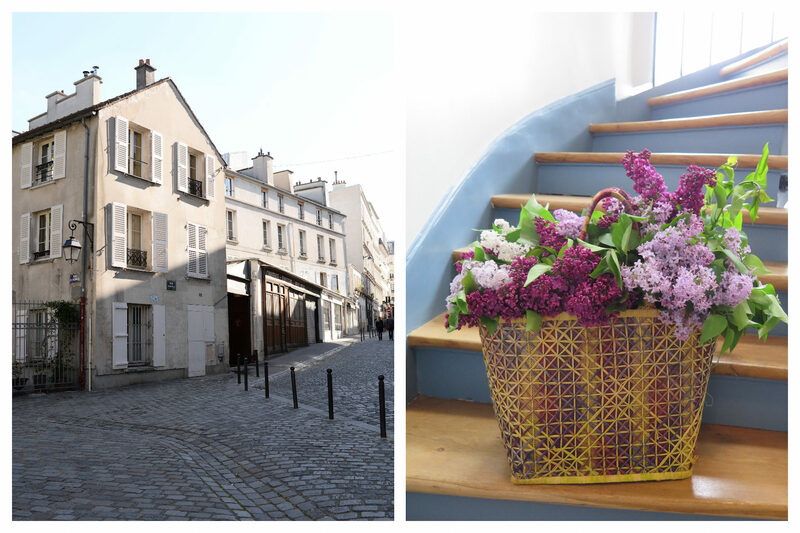 The apartment was situated just above rue des Abbesses, which I would quickly find was a world apart from the small tourist zone at the top of the hill. In no time I was on friendly terms with the sweet vendor at my favorite boulangerie, I would chat with the cheerful salesmen at my local “convenience” store, which just so happened to be the one featured in the film Amélie. I would still spend my Sunday afternoons strolling, but now it was around the narrow streets of the lesser-visited backside of Montmartre. My friends even started moving to the area. 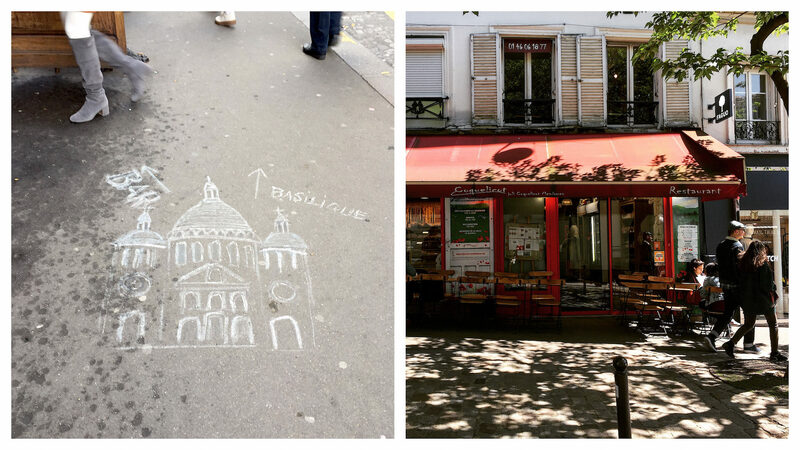 There are very good reasons why visitors, and Parisians, love this neighborhood. And gazing out of my window at the district’s rooftops and the basilica’s suncast dome, I too was falling under its spell. Knowing I wanted a bigger apartment, my landlady gave me the keys to go look at a more spacious place she had, around the corner from my tiny abode. 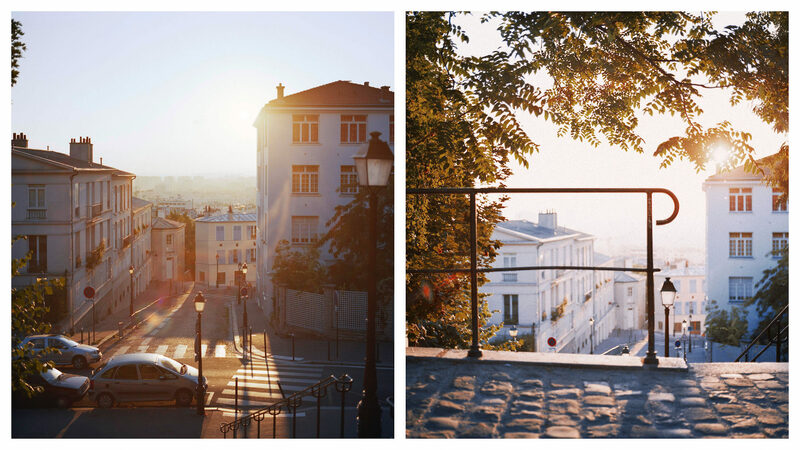 Although I would lose my view, Montmartre had already solidified its place in my heart. I would have a proper one-bedroom apartment, with wooden beams to boot, and could enjoy the pleasures of the neighborhood simply by stepping out of my cozy place, where I’m writing this article, now fifteen years after my initial, reluctant move up here. 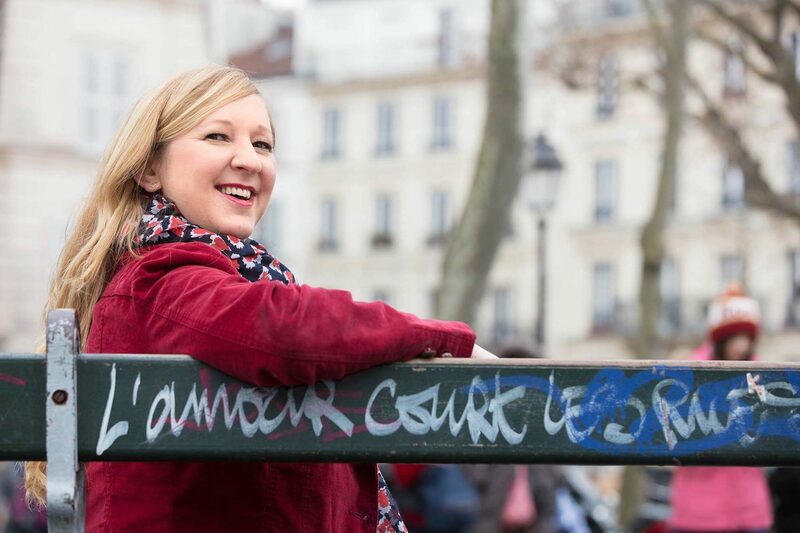 I still smile when I walk through Place des Abbesses. I cherish the calm when I drift through Place du Tertre on drizzly autumn evenings, after the artists have packed up for the day and the café lights glisten on the cobblestones. I say bonjour when I pass Capitaine, the dog that “lives” in Picasso’s old art studio and has his own name plate on the door. I enjoy un petit verre in the wine bar hidden at the back of the Cave des Abbesses, owned by the same family since 1962. I imagine how exciting the area must have been back in the Belle Époque when I walk past the Moulin Rouge, its red arms lighting up the Pigalle night sky. I’ve officially become a true Montmartoise and I’m proud of it. 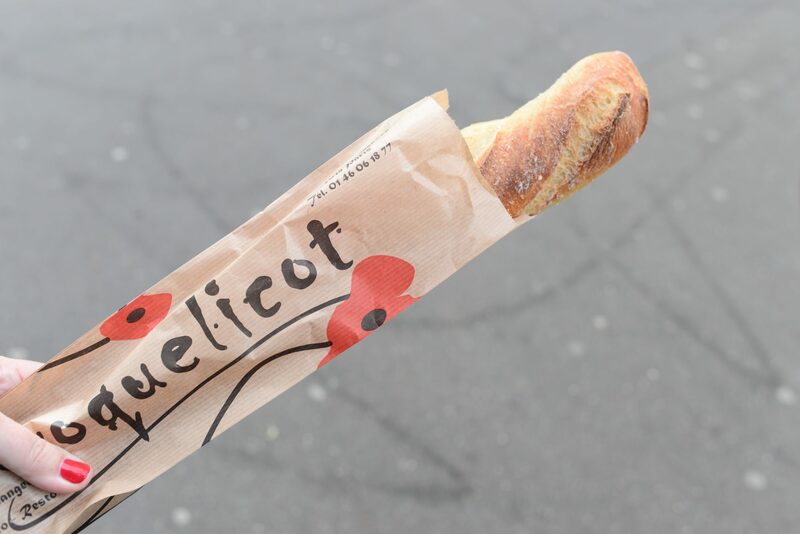 Discover our favorite boulangeries in Montmartre. If your shoes need repairing, visit Atelier Constance an old fashioned cobbler in Montmartre. Written by Lily Heise for HiP Paris. Looking to travel? Check out Haven In for a fabulous vacation, or long term, rental in Paris, Italy, France or elsewhere in Europe. Much enjoyed your insight and learned more about a part of the city I believed I knew rather well.